Two-time major champion David Graham last night became the sixth Australian admitted to the World Golf Hall of Fame in a ceremony at the Home of Golf, St Andrews. 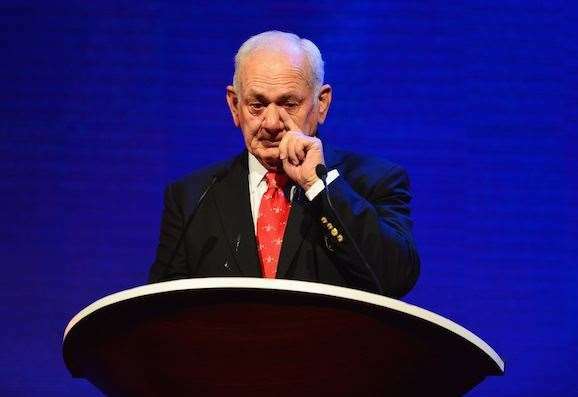 After a decade of being overlooked, two-time major champion David Graham last night rightfully took his place in the World Golf Hall of Fame alongside five other Australians – Peter Thomson, Kel Nagle, Greg Norman, Karrie Webb and Walter Travis. A teary Graham, now 69, was presented his award and announced into the Hall of Fame by long-time friend and nine-time major champion Gary Player. After being passed over for a spot in the elite club of Hall of Famers for so long, Graham finally took his spot after the selection process was overhauled after the 2013 induction ceremony. And, so it was in front of a packed auditorium last night that justice was done for David Graham. Venturing outside the United States for the first time ever, the ceremony was held at the University of St Andrews, which has a wonderful history of recognising golf’s finest. The University has, in recent decades, conferred honorary Doctor of Law degrees to the likes of Jack Nicklaus, Arnold Palmer and Gary Player. Before them, in 1958, it was the great Bobby Jones, who shuffled his way to the podium of Younger Graduation Hall to accept citizenship of the Royal Burgh of St Andrews. "You people of St. Andrews have a sensitivity and an ability to extend cordiality in an ingenious way," he said. And it was no different last night as St Andrews turned on a memorable occasion that saw Graham, Dame Laura Davies, two-time major winner Mark O’Meara and course designer A.W Tillinghast – the Class of 2015 – inducted into the World Golf Hall of Fame. For Graham it was recognition of a long career that began when he turned professional at the age of 16 while working part-time in the Wattle Park Golf Course pro-shop in Melbourne. Over the next 25 years he won more than 20 tournaments worldwide, including the 1979 PGA Championship at Oakland Hills and was the first Australian to win the US Open, when he played a near perfect final round at Merion in 1981. He is still the only Australian to win two different major championships. “I’d like to be remembered for where I came from, to where I got to,” said Graham, who made his home in the US back in the 1970s. “I started out in a little back-room in Melbourne to finishing up being in the Hall of Fame. I’ve been married to the same woman for 46 years. I’ve got two good kids and helping to raise five grandchildren; but my goal was to come to the United States and be successful. So I think I’d just like to be remembered as a kid that came up and became successful. 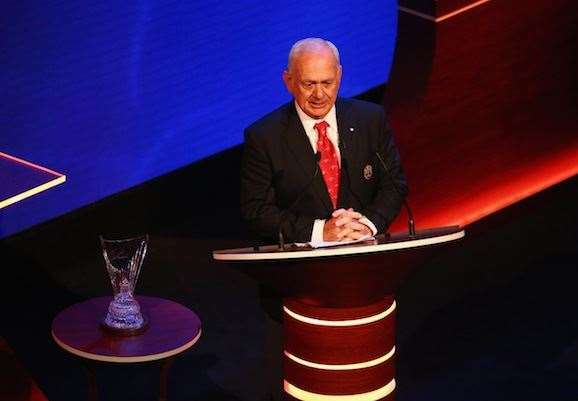 Graham said he never thought he would see the day when he would join the Hall of Fame, especially when the golfing world could see he was a glaring omission. “I went through a period where I didn't think it was going to come,” he said. “So this is obviously the icing on the cake. I've got my whole family here, so a lot of friends have come, so it's a treat, and it's an honour. “It's something that you hope happens in your career, and it's obviously something that I have hoped for for quite some time, and finally – I think mainly due to the reorganisation of what the World Golf Hall of Fame is supposed to stand for … I think the criteria is more transparent now than it has been in the past, which I think voids the controversy of who and why rather than it be a popularity contest. Graham smiled when he was asked whether his induction was due recognition for being one of the Australians who trail-blazed a way to the US PGA Tour in the 1970s. “Well, I don't think we ever play golf for recognition,” he said. “That's maybe the last thing you play golf for. You play because you love the game. You play because you like to compete. And in my case, I played because that was the way I could make money. I didn't really know what else to do. In his acceptance speech, an emotional Graham paid tribute to his first golf mentor, Riversdale professional George Naismith, who famously turned him from a left- to a right-hander. “Without him I would be here today,” Graham said. He also thanked Norman von Nida for his guidance, legendary swing coach Alex Mercer and five-time Open Champion Peter Thomson, before saluting his wife, Maureen, sitting in the audience. “Her name deserves to be on this too,” Graham said tearily.